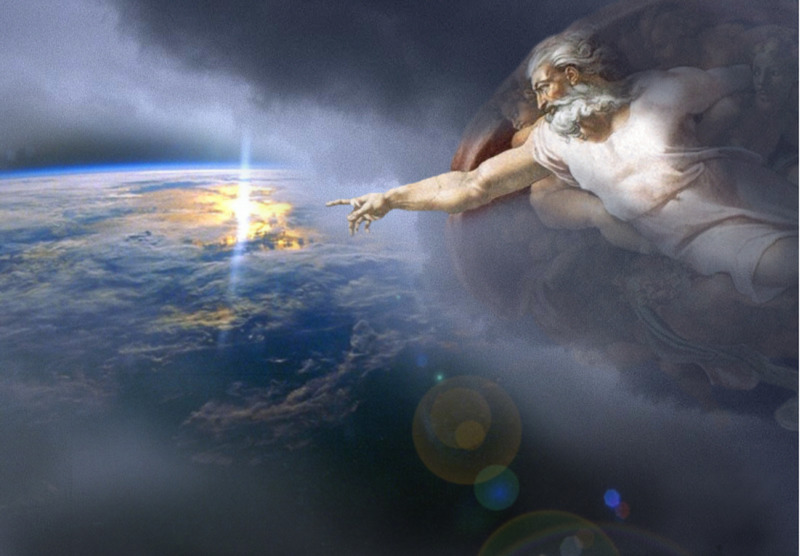 Does Genesis 2 prove a second creation of God? Who was Lilith? Does she have a place in Scripture? We shall see as we continue in our study. Look please at Genesis 2:4, “These are the generations of the heavens and of the earth when they were created, in the day that the LORD God made the earth and the heavens…” This verse clearly relates back to chapter 1. 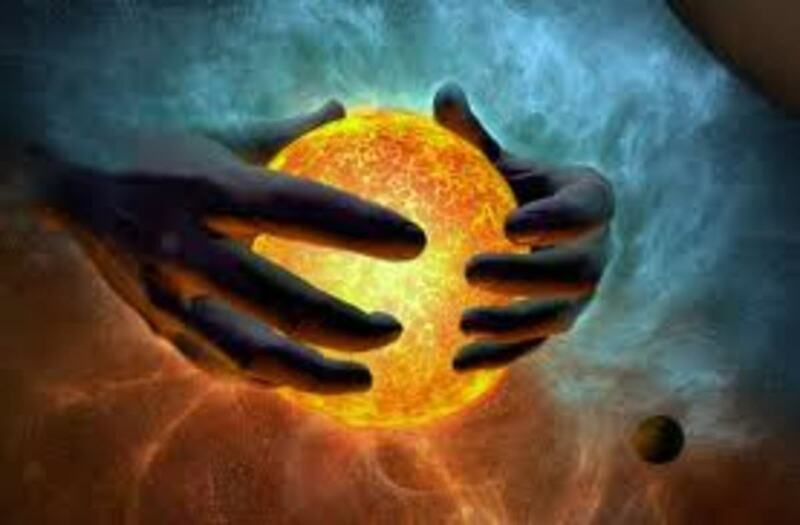 Notice, “. . .when they were created. . .” and “God made the earth. . . .” Both verbs appear in the past tense. Chapter 2 is dealing with something God already created, and something that God already made. We learn more of the creation days in verses 5 and 6. We see that God had not yet spilled rained upon the earth. Rather, the plants were watered by a mist that came up from the ground. We will discuss this in more detail later. Both secular science and Scripture agree that man originated from dust – the difference being that science projects man’s creation from stardust from the Big Bang. God declares it was from the dust of the ground that He formed life. We will look closely at this in a moment, but notice briefly the last part of verse seven. God breathed into his newly created form the breath of life. It was the very breath of a holy God that started man on his path of life, and 6,000 years later, that path continues. Man became a living soul. God breathed into man His breath to cause him to come alive. God’s breath is eternal. God breathed into man, not just life, but eternal life. Due to the unfortunate events in chapter three, man lost his fellowship with the God who created him, but not his ability to exist forever. Man’s spirit will continue to exist after physical death in one of two places. For those who come to their Creator the only way He has prescribed, Heaven awaits. For those who try to make it some other way, Hell awaits. 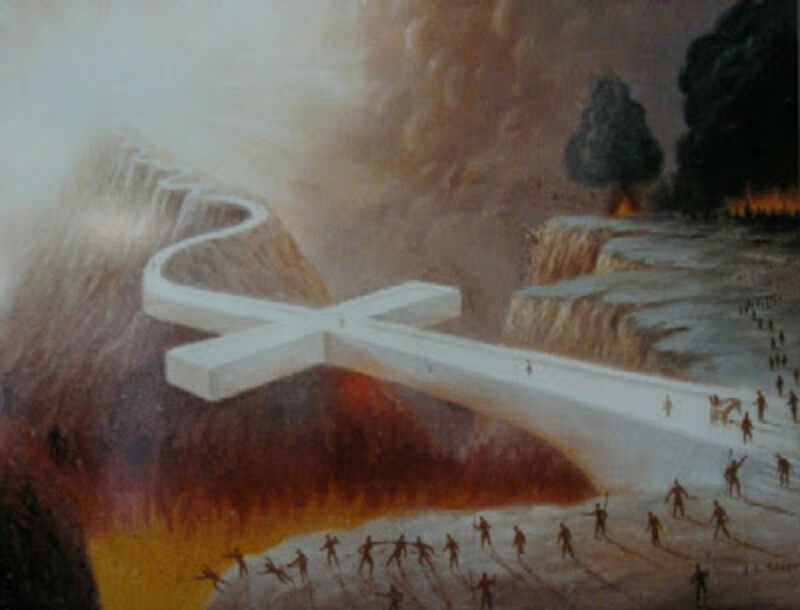 The Creator’s only method for His creation to enter Heaven is through the cross of Jesus Christ. There are many reasons for this, but if there was no reason at all, it is still God’s prerogative to decide the way. Yes, the way is narrow for we are told in John 14:6, “Jesus saith unto him, I am the way, the truth, and the life: no man cometh unto the Father, but by me.” Again in Acts 4:12 we read, “Neither is there salvation in any other: for there is none other name [Jesus] under heaven given among men, whereby we must be saved.” Unfortunately, this eliminates any other way to reach God. It is not in the name of Buddha, Mohammed, or Krishna. It is not in the name of church membership, baptism, or the Eucharist. 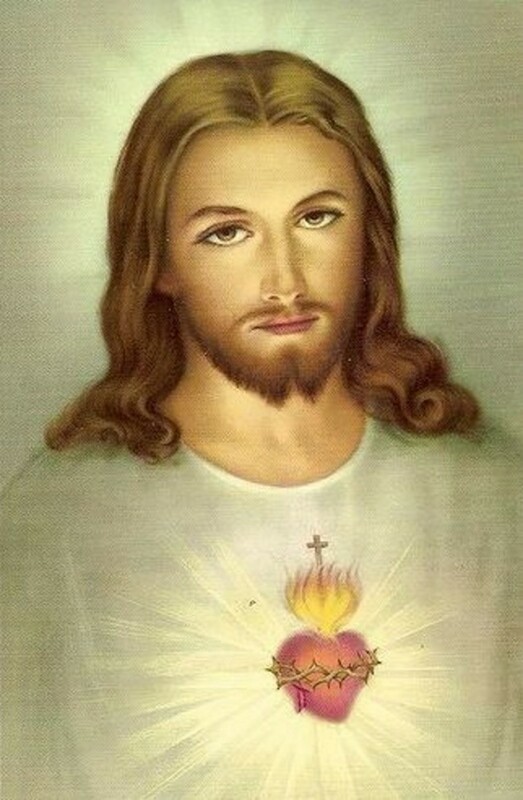 It is not in the name of loving your neighbor, keeping the ten commandments, or giving to charity. It is in the Name of Jesus Christ. There simply is no other way. Our salvation offered to us by our Creator is strictly a matter of grace. There are many definitions that apply to grace, but this suffices for our purpose here – a favor rendered by one who need not do so. 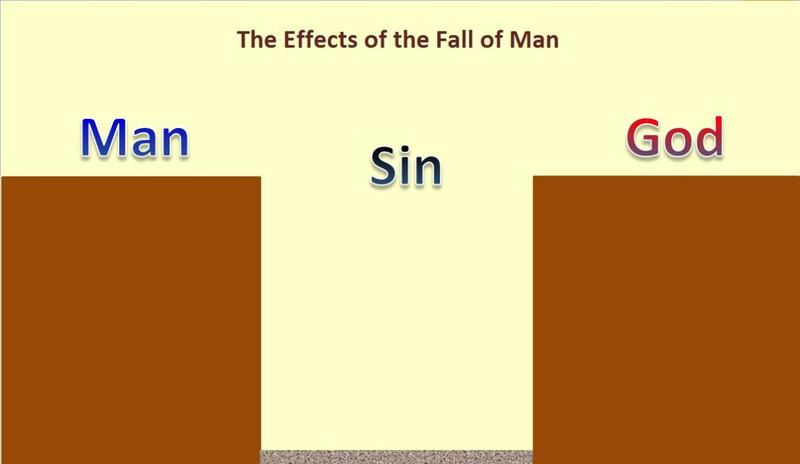 As we will see in chapter three of Genesis, sin has separated us from our Creator. God does not need to offer us salvation. He does so simply because His nature is gracious and His love is far-reaching. He offers us a free gift. It cannot be earned. It cannot be bought. It can only be accepted and received. The earth is made up of many elements found in the human body that are necessary for proper growth and health. The dust of the ground speaks of our Creator. 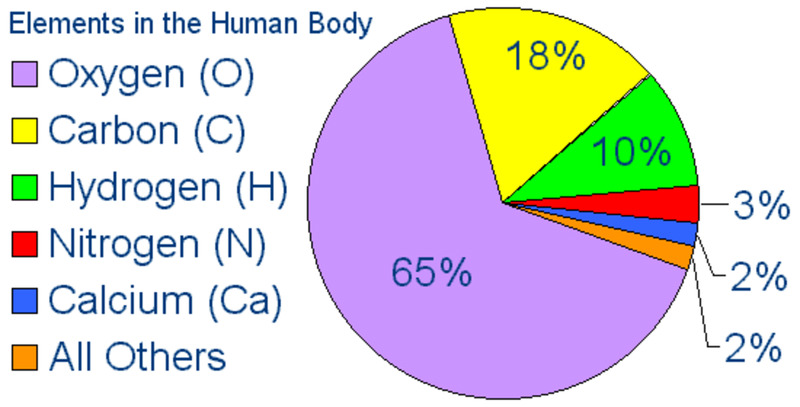 Oxygen, by far, is the most abundant element consisting of nearly 61% of the human body. It occurs about 46% in the earth’s crust. It plays a vital role in breathing and metabolism. Our bodies are 23% carbon. Virtually every part of the body is made up of molecules based on carbon chains. Hydrogen contributes about 10% of the body’s makeup, and nitrogen makes up about 2.6%. Of course, each of these can be found within the earth’s dust. Man is made up of lesser amounts of calcium (needed for strong bones and teeth), Phosphorous (rebuilds red blood cells), Potassium (needed to maintain the nervous system), sulfur (element of the essential amino acids), sodium (necessary for the transmission of impulses from the brain to muscles). The list goes on to include copper, magnesium, aluminum, chlorine, silicon, iron, fluorine, zinc, manganese, iodine, selenium, Molybdenum, chromium, and cobalt. All these elements are found in the human body as well as the dust of the ground. Is it any wonder why the Psalmist David exclaimed, “I will praise thee; for I am fearfully and wonderfully made: marvellous are thy works . . . ” (Psalm 139:14). The original location of Eden has been disputed over the years. Many believe because of the mention of the Tigris and Euphrates Rivers. Eden was located in the Middle East, in present-day Iraq. Mesopotamia has long been considered “the Cradle of Civilization.” We run into a problem, however when we come to the mention of the Pison and the Gihon Rivers, thus confusing the location of Eden. We will continue our discussion in Part 8 soon. Where was the Garden of Eden located? What is man's purpose? How far have we strayed from Bible truths? Someone has made an investment in you! : discover your purpose and find your joy.
. So nice of you to stop by, Rodric. I appreciate your desire to follow along and even re-read this. I'll do my best not to let you down. Just a thought, Jackie. Maybe the garden has been moved to Heaven. it would seem that the tree of life is located there. glad you were able to stop by. I always look forward to seeing you! Though I am getting back late to your reply to my reply, I enjoy reading the series and having an open mind to see where the Spirit will take me in my understanding. I am planning to read through them all again and just ponder over them. When you find something good to read, a few times through can add value to the lessons taught and give more perspective. Thanks for writing this series. I was so hoping the Garden of Eden still was around hidden somewhere but I can see that probably would be impossible (unless God has preserved it to show us all someday). I love the thought of a living soul, I have never quite thought of it that way. Our souls have just been given flesh and blood. That will be something fascinating for me to think about Bill, thank you! I will try to sign up tomorrow, just didn't have a photo handy or I would have today. Sorry this so late, Jackie. there do seem to be a lot of apocalyptic films, but too much from the beginning. good point. Stay relaxed! If not for grace, where would any of us be, Rodric? I do think I'd rather not exist at all than spend an eternity in hell - the worst situation is there is no God in hell. separated from His grace and love forever. Reading your comments, I realized I failed to place a link to the next installment on all the articles. I apologize for that, and deeply appreciate you taking the time to find them. Another great article. 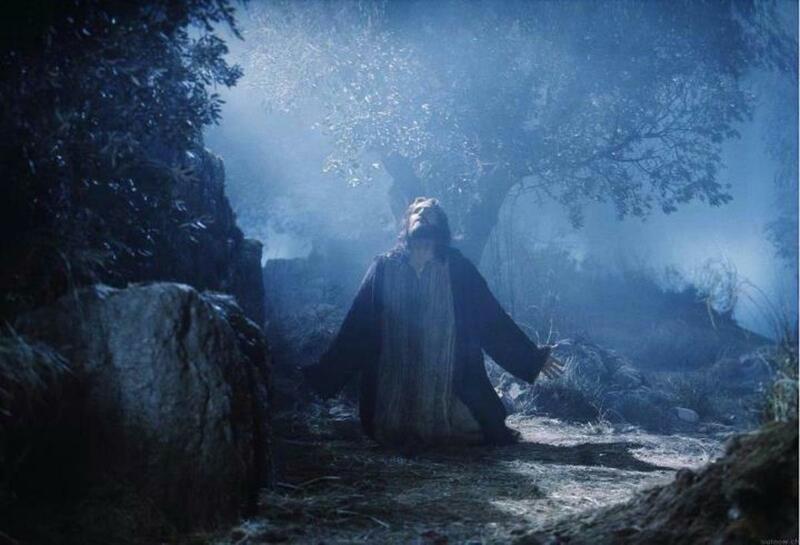 Grace is the only way to heaven through the atonement of Jesus Christ. Jesus says He is the only way. He employs no servant there, but we must go through His grace alone. It helps when He applies His grace if we follow his laws, of course since no unclean thing can get to heaven. In my mind, His grace includes the hell that some of us will deserve at the end. It is far worse to cease existing. Hell is still a form of His grace and love. I am satisfied with your perspective on the location of the Garden of Eden. You're quite welcome, Peg. Thanks for being a part. Interesting questions about the location of the Garden of Eden and the scriptures from Genesis. Thanks for this enlightening article. Thanks, Dora. I'm always glad when you can stop by for a bit. Bill, you state some very interesting insights for our consideration. A very good in-depth study. You nailed it, Jack! Glad you were able to make the trip and stop by. I liked your article but most particular these words. "He offers us a free gift. It cannot be earned. It cannot be bought. It can only be accepted and received." This is a stumbling block for so many and many think there has to be more to it than that, particularly those who say it is only by good works that salvation is achieved. Yes it's a 'mainstream religion' but it's a cult nevertheless. Hi, Tammy. Glad to see you, as always. And thanks for the added input. I taught these lessons (Genesis 1-11) at my church in thirteen weeks, but when I began to put them into the written form, I found there was so much more information. This is Part 7 and I'm still only in chapter 2. I may have to hurry it along a little. Thanks for following the series. Well presented Bill. I like the clay connection it makes a lot of sense with the verses you presented. The Gospel presentation is fitting as well. That very plan is present throughout the entirety of Scripture including here. A person could spend an eternity looking into these first two chapters of Genesis and marveling at the power and beauty of God and the consistency in the world that He made. I am so tired of hearing the cross glorified by those professing to follow Christ. The cross had NOTHING to do with us being able to redeem our eternal life. It was a tool of evil, meant to destroy Him. A horrible way to die and they never expected Him to be resurrected. We who are real disciples of Christ do not glorify the cross, we hate it. We Glorify our Lord Jesus Christ who, because He trusted God more than himself and WILLINGLY GAVE UP HIS SPIRIT to close the previous age and bring in this new and final age where He gives us the opportunity to redeem our eternal life that Adam so foolishly forfeited. You're quite welcome, Bill. Maybe disagree is the wrong word, and I apologize for that. Thanks again for coming by. I knew you'd be here! Fantastic Bill I saw this and opted out of my daily red letter reading for the day. This series is, dare I say, enchanting. Around here the name is normally chúa Giê-su. I hope that does not create a different paradigm. Which Bible are you quoting from? - I like it and probably you told us. This H2O concept is important to understand. A lot of stuff about water and air/breathing life. Genesis 2 et seq is not to be trifled with. Fully worth contemplation of every line. I'm not sure I've ever disagreed with you on your religions views. This falls under the category, for me, of everybody is right and nobody is wrong, or everybody is wrong and nobody is right.....for me its conjecture and again, the Gospel According to This Bill is not recommended reading. LOL Thanks for sharing your thoughts, my friend.